F. Scott Fitzgerald said “Life begins when it gets crisp in the fall.” If this is the case then life must be in full swing when the leaves have all fallen from the trees. November begins the Holiday Season – a season of lights and merriment, food and drink, parties, entertaining friends and family. 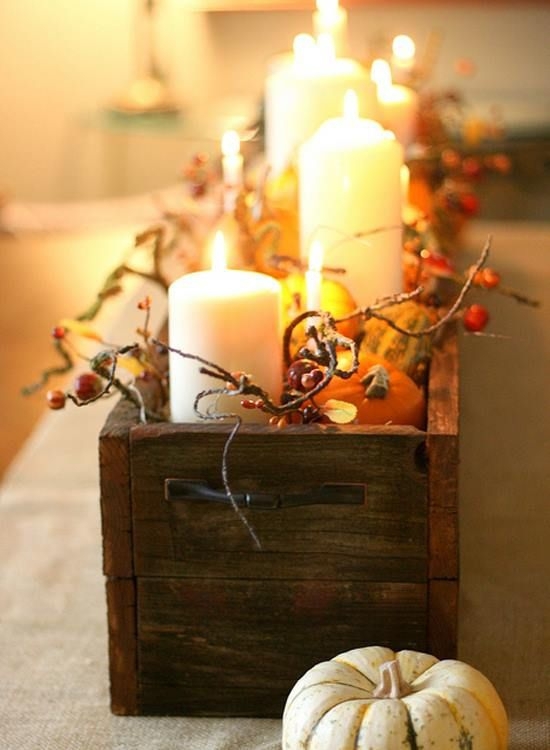 When decorating your home for late fall there’s no reason to spend a lot of money. Much of what you use to decorate can be found in your own home, outside – in your yard, or your neighbor’s, while a neighborhood stroll or hike. We are huge fan of bringing the outdoors in no matter the time of the year. Use your candles. They not only serve as wonderful décor but the change the entire mood of your room as they cast their warm glow. Use them on their own or pair them up with holiday friend, branches and pine cones brought in from the outdoors. Arrange them on plates, platters or trays to create a look that ranges from casual to elegant. Paint nature! Paint and nature make for wonderful partners. 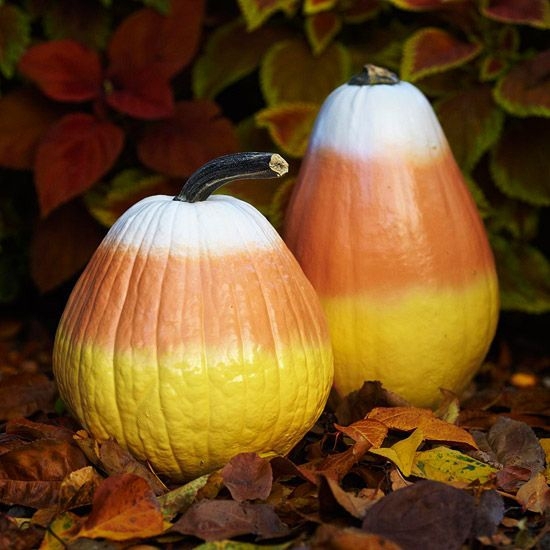 Whether leftover pumpkins from Halloween, gourds, sticks, branches, pine cones, rocks, dried flowers or fresh fruit. 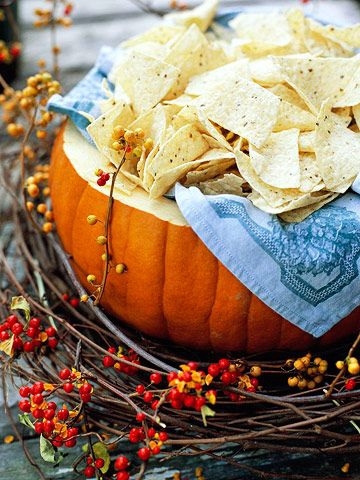 Breathe new life and add pizzazz to these items with spirits, dip or dash or gold or any metallic paint. Make use of what you already have. Bring out large vases, pitchers and glass bowls and use them for flower, fruit and branch arrangements. Fruit displayed in bowls not only adds the natural element, but serves multipurpose – functional and festive! Maybe if on display you’ll be more apt to grab the clementine, apple or persimmon instead of the chocolates! 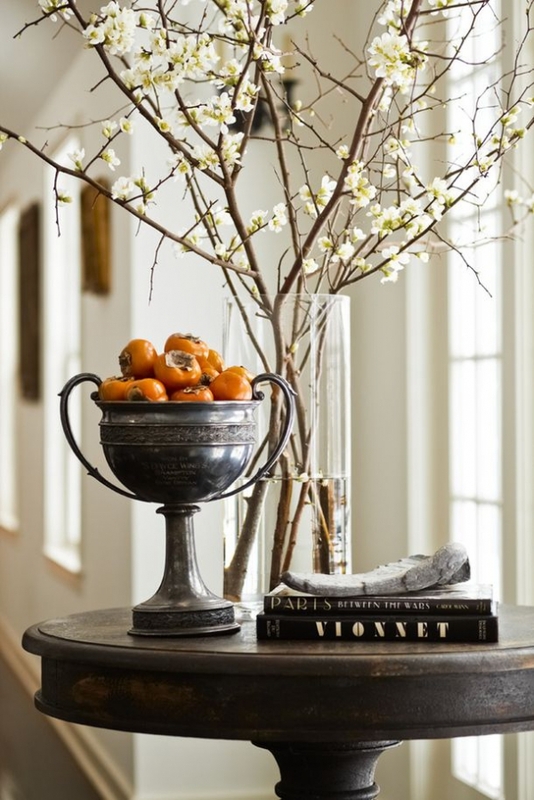 Fall fruit adds such a wonderful pop of color to your Fall decor. Paint leaves, fruit and branches in paint and then dip or roll them into glitter or Epsom salts for a lively glittery centerpiece, place or name card. You can also use this idea to make Christmas decorations and ornaments. Sometimes the most simple of ideas are the loveliest. 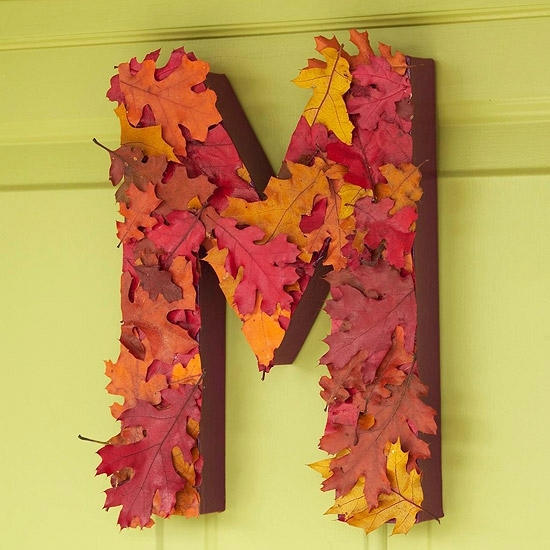 A simple letter covered in leaves makes a lovely autumnal monogram to hang on your front door. To preserve the leaves paint them with a coat of ModPodge, or similar so that they stay vibrant and bright. Add a pretty brown or red ribbon to dress it up. 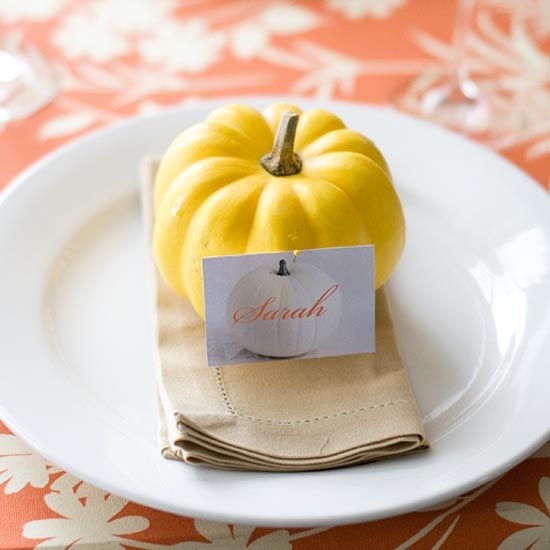 A pumpkin, pinecone – a piece of fruit such as an apple, pear or Clementine makes a perfect simple place card. Want to dress it up a little, spray it with silver or gold paint or foil. You’ll be amazed how something so simple can turn a table into something so lovely. 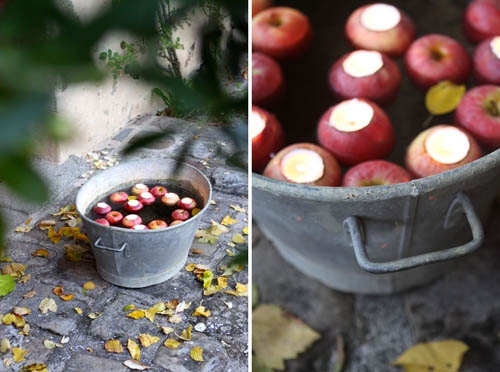 Carve out apples or small pumpkins to make festive votives to grace your table, kitchen counters, and mantel or line your walkway. Group a bunch of votives together and place them in a large bucket, pail or other container that can be filled with water. The effect is delightful in the most rustic or the most formal of settings. Say it with flowers. 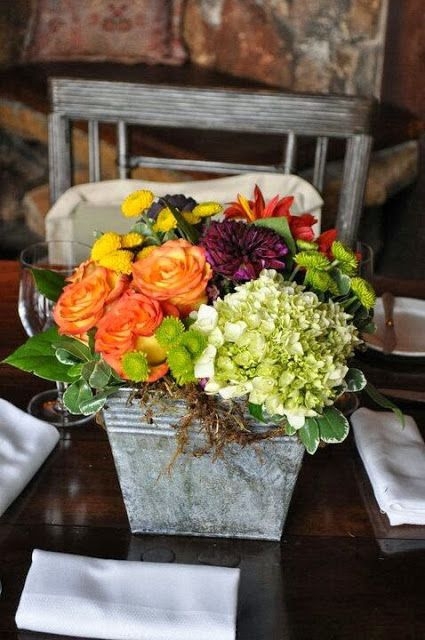 You can never go wrong with fresh flowers arranged in a small galvanized tin, large vase, pitcher or any other way you’d like. Most likely you will not have fresh flowers outdoors from which to pick or cut, so a trip to your florist or grocery store will be necessary. In the spirit of reusing, recycling and repurposing, don’t toss items that can potentially be reused. 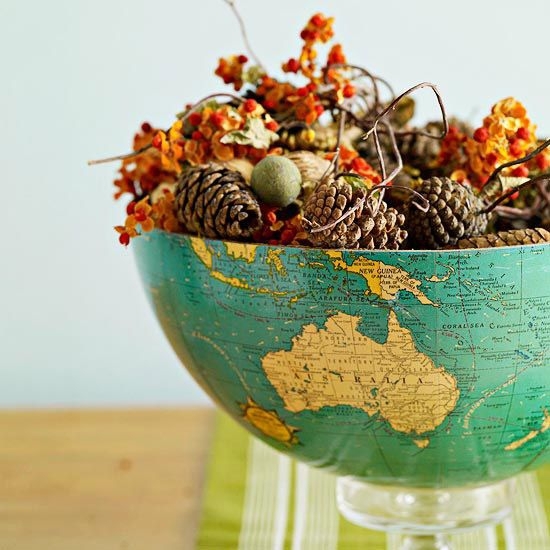 We love the cleverness of this old globe filled with all sorts of wonderful fall items from the outdoors – pinecones, branches with berries, fruit like tangerines, clementines, kumquats and nuts of various textures and sizes. 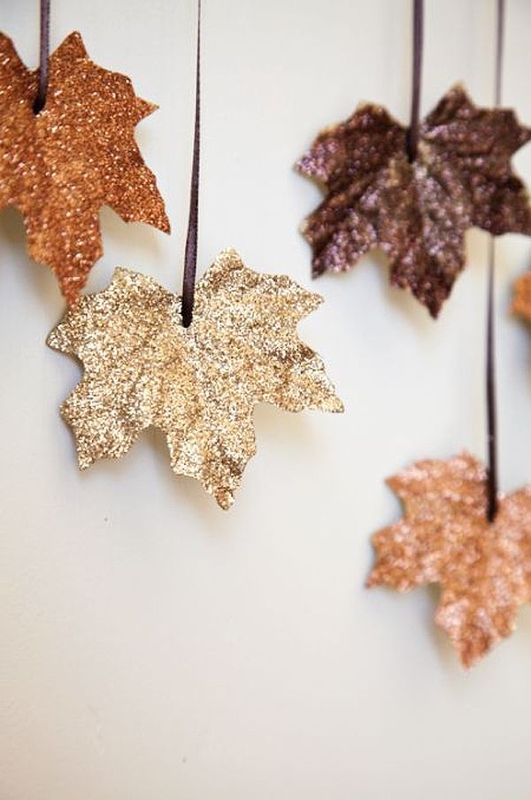 We hope you’re inspired by some of these Fall decor ideas!